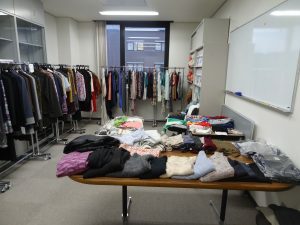 École de Kyodai is now having a charity flea market. 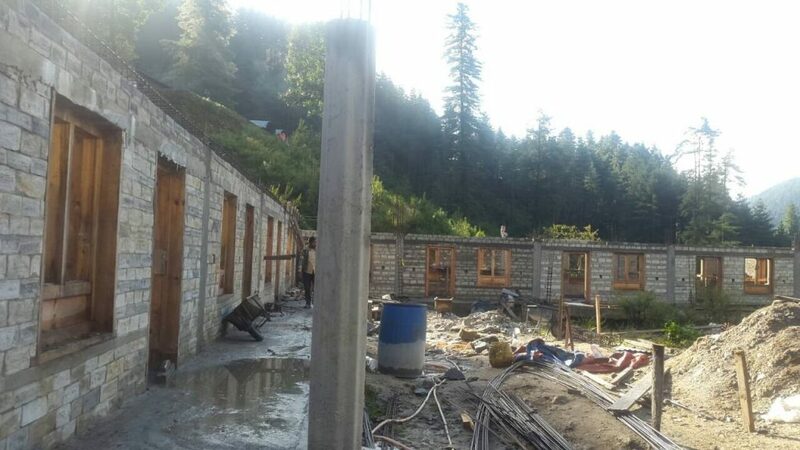 The sales are contributed to some areas which were damaged by disasters (see below). 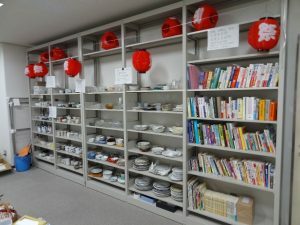 You can have dishes, clothes, furniture, books, and other attractive things at reasonable prices! Don’t miss this good opportunity! Especially, you can find seasonal wears to enjoy wonderful four seasons in Kyoto. 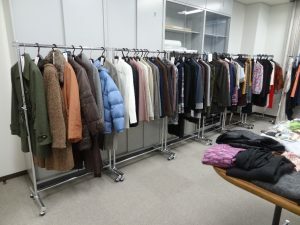 Especially, you can find warm winter wears to enjoy wonderful winter in Kyoto. Ecole de Kyodai, whose mission is to build a sustainable campus, is now having a charity flea market. The sales are contributed to Kumamoto and Niigata, which were hit by big arthquakes. You can have dishes, clothes, furniture, books, and other attractive things at reasonable prices! Don’t miss this good opportunity! ※Our building is located at No.57 on the campus map. In 2013, UNESCO designated Japanese food as an intangible cultural treasure. Seasonal fresh ingredients, variety of cooking methods, nutritious diet and natural beauty of Japanese dish have been highly appreciated. 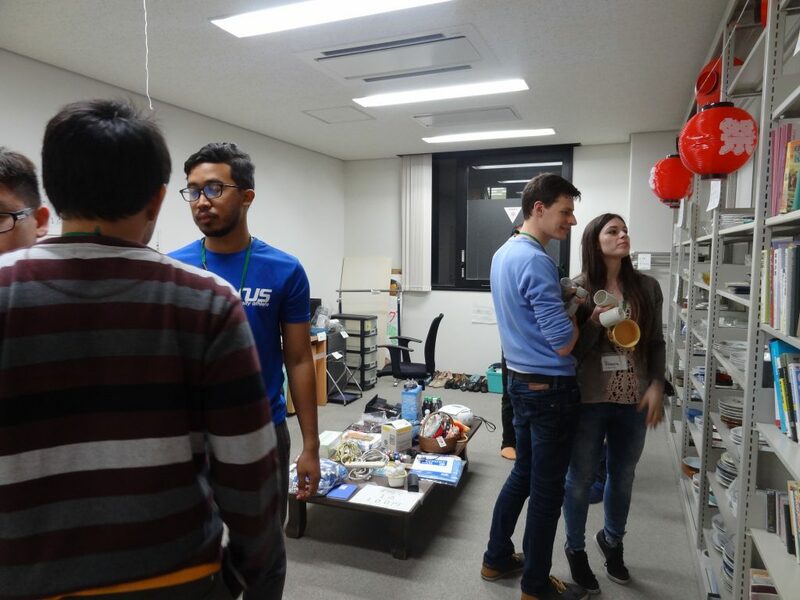 In the coming workshop, we would like to explore “Washioku (Japanese food)” together with exchange students in Kyoto University. 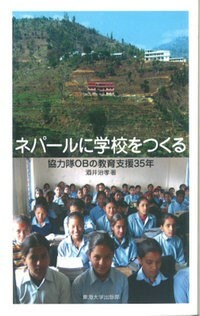 In the event, we invite Ms. Megumi Hata, a president of the Hata Machiya Housing as a guest. You can learn how to cook “Dashi” soup from Ms. Hata’s professional advice. Also, this time we will invite the freshmen (both Japanese and international students) who just started living on their own. We would like to support their new life by sharing the simple, but delicious and well-balanced “Dashi” soup recipe. Finally, one of Japanese traditional dish, Dashi soup has many eco-friendly aspects, too. Even if you are not an exchange student or freshman, but interested in eco-cooking, you are warmly welcomed. ・In the cooking workshop, we won’t use any meats, but fish. If you are a vegetarian, we prepare some other options. Please let us know in advance. ・You can also bring your friends to the event, but please let us know how many will come in advance. We are very looking forward to seeing you. 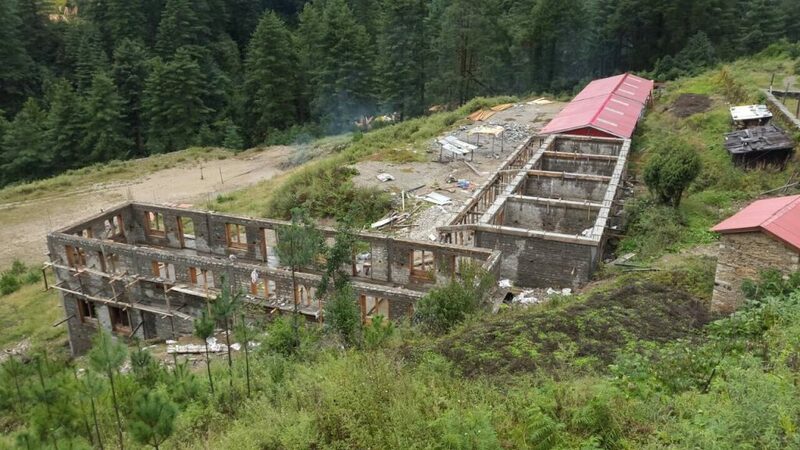 If the entrance is locked or you cannot find the way, please call 075-753-5922. 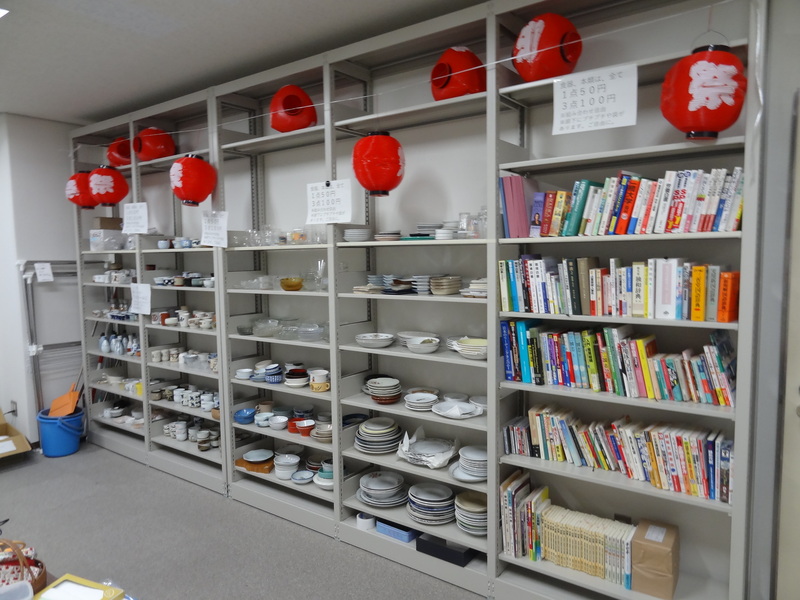 〇You can buy designer clothes, shoes, furniture, eating utensils and variety of items at 10-500 yen. 〇There is even a “Take free” booth (at corridor). 〇We also have “Kusu-chan cafe for free chat in room No. 707. Anyone is welcomed. You can enjoy viewing cherry blossom in the Youshidayama Mountain through the window. There are some drinks and snacks prepared, so please help yourself. 〇If you do not need a change, please make a donation. If you need to change money, please tell the staff so. 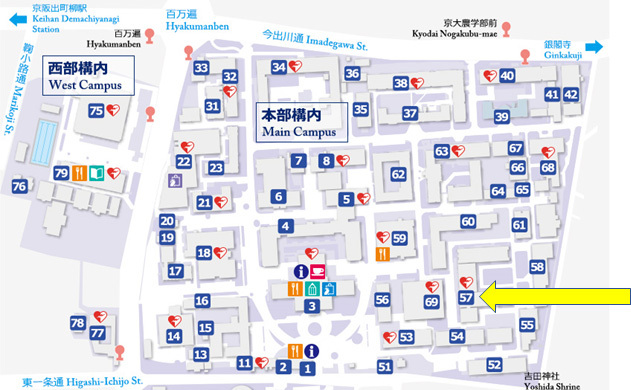 ★Our building is located at No.57 on the campus map. 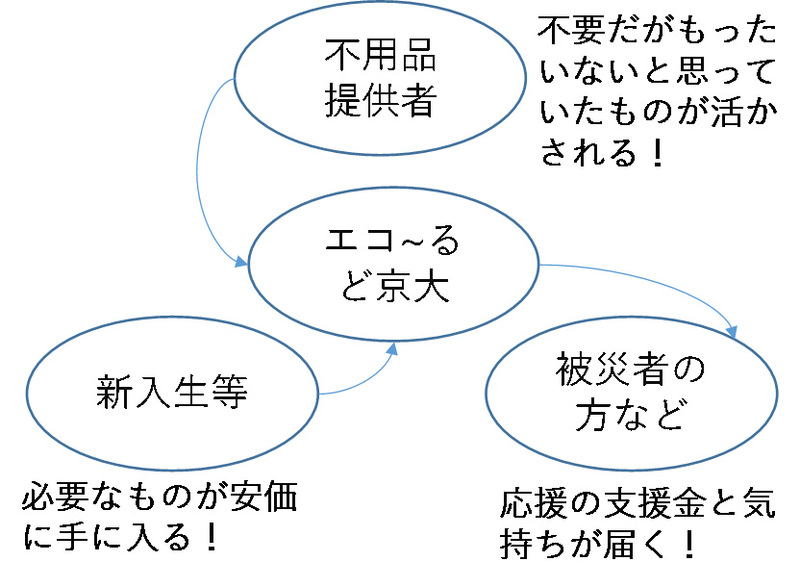 Copyright 2012-2015 京都大学 All rights reserved.